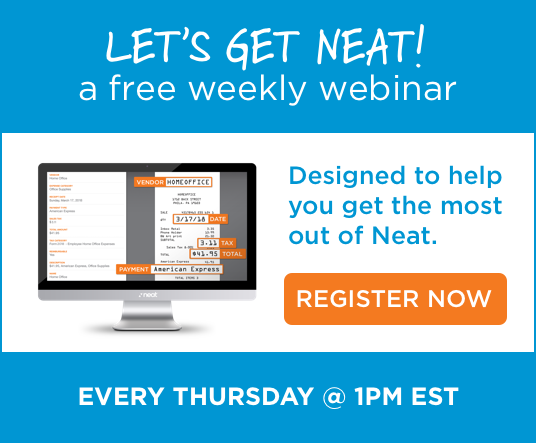 Neat provides software for insurance industry professionals. As an insurance professional, you have a myriad of paperwork, expenses, quotes and other documents to manage for your agency on a day to day basis. Neat will help keep you organized with our cloud-based app. Use Neat to scan, import, email in or snap a pic of any document and we process paper into searchable data in a secure cloud environment. Thousands of Insurance and Finance Pros Use Neat. Here's How.